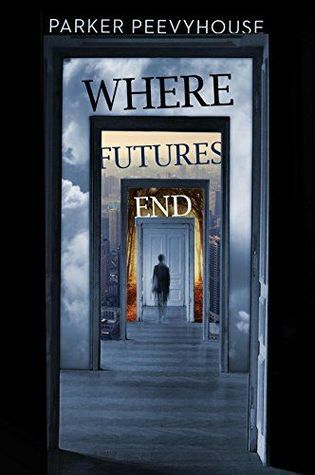 Brittany's Book Rambles: Where Futures End Blog Tour: Interview with Parker Peevyhouse! Everyone, welcome Parker Peevyhouse to the blog today! Parker Peevyhouse writes fiction about teens in unusual situations. She lives with her family in the San Francisco Bay Area, where she has worked as an instructor and tutor and currently volunteers with teens. She can usually be found wandering local trails, playing board games, or watching science fiction movies. Her first novel, WHERE FUTURES END, will be published by Penguin/Dawson in early 2016. She is represented by Ammi-Joan Paquette. Parker: Pantser, mostly. I like to be surprised. I’ll do some brainstorming and think about where I generally want the story to end up, and then start writing and see what happens. That said, my plots tend to be intricate and puzzle-y, so I usually will stop every 50 pages or so and outline what I’ve already written and then think carefully about which direction to head off to next. Parker: Well, Dylan and I both love science fiction movies. Brixney and I have both worked at terrible jobs in obnoxious restaurants. Epony and I both have trouble figuring out how to decode pop culture. But, oddly, I relate a lot to Quinn, even though she lives in a post-apocalyptic setting. She and I both are philosophical types who just want to be left alone to do our own thing and think our weird thoughts. Which story within Where Futures End was your favorite to write, and why? Parker: I probably liked writing Dylan’s section the most. He suspects he might have visited a magical land when he was a kid and is now trying to figure out how to get back there. It was really fun for me to think about his riddle: did he or didn’t he go to another world? I wasn’t sure when I started writing, and then the answer I found was pretty cool for me. If you could travel to any time and place for inspiration, where would you go and why? Parker: I would travel to Hogwarts. Does that count? I would love to hang around there and write down all the cool stuff I observed. What kind of research did you have to do in order to write Where Futures End? Parker: I did a ton of research on climate change so that I could show how it might affect cities 30, 60, and 100 years from now. I also researched x-linked traits, because some of the characters in WHERE FUTURES END have a genetic gift for influencing others in a sort of supernatural way. For the fifth part of WHERE FUTURES END, I had to figure out what it would be like to live in a post-apocalyptic world, so I watched a bunch of “Life After People” videos (which I recommend because they’re fascinating!). And I researched food and clothing of First Nation people living in the area that WHERE FUTURES END is set so that I could figure out how my characters could live in the woods of the Pacific Northwest. I also researched MMORPGs (fun), computer viruses and worms (scary), and the effects of gender-imbalance (sad). 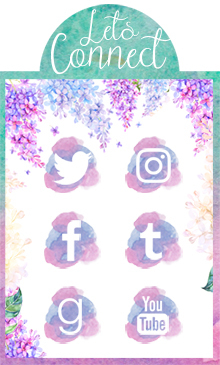 Basically, I gave myself a lot of work by creating five different interlinked stories! Is there any particular scene that was removed during the revising and editing process that you wish had made it to the final version of the book? Parker: I almost completely re-wrote the first part of WHERE FUTURES END while the manuscript was on submission, so a lot of the original scenes were cut. I miss those scenes, because I thought they were poignant, but most people found them just depressing. I think the new version is much better, though, so I don’t regret cutting those scenes. What was the most challenging part of writing Where Futures End? Parker: It was hard to jump forward into the future at the end of each part of WHERE FUTURES END, because I had to figure out how the events of one part would affect the next part. How would the world change in response to the viral video in Part 2? To the mysterious people revealed in Part 3? To the cyber warfare in Part 4? But honestly, it was pretty fun to figure all of that out, even though it hurt my brain. What is one fictional invention (from any book) that you wish was real, and why? Parker: I would so love to play the zero-gravity game in ENDER’S GAME! What is your most memorable moment on your road to becoming an author? What is the one thing you’d like your readers to take away from Where Futures End? Parker: I’d like readers to think about how our culture is made of stories of all kinds (movies, books, memes, jokes, plays, Internet videos, etc.) and how readers have the power to participate in telling those stories. I’d like them to think about how the stories they participate in shape who they are. This whetted my appetite for the book even more! Thanks for the interview! The zero-gravity game, excellent choice! I'd also love to travel to Hogwarts. Wonderful interview, will there be a review posted as well? I would like to read it, as this book sounds intriguing. This interview was so immersive I wished it went longer. I can't believe Parker did not choose the wands from Harry Potter as the fictional invention of choice. Tut, tut. Anyway congrats.